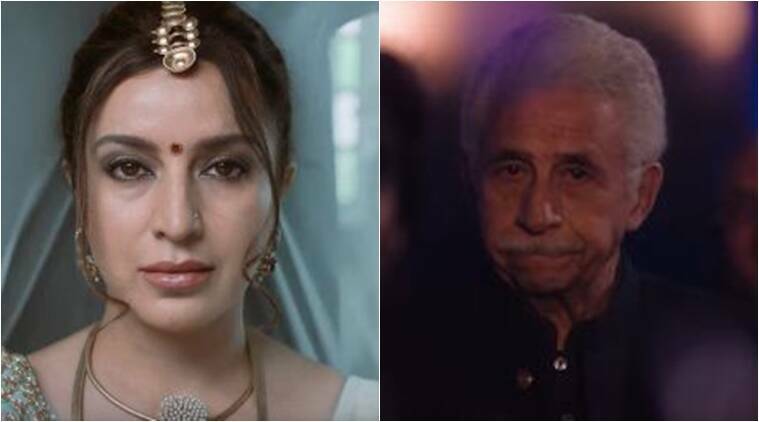 Naseeruddin Shah, who will be next seen in The Hungry along with Tisca Chopra, spoke about his long-standing acting career, the difference between a star and an actor, the evolution of filmmaking and the changing female narrative in Hindi cinema. 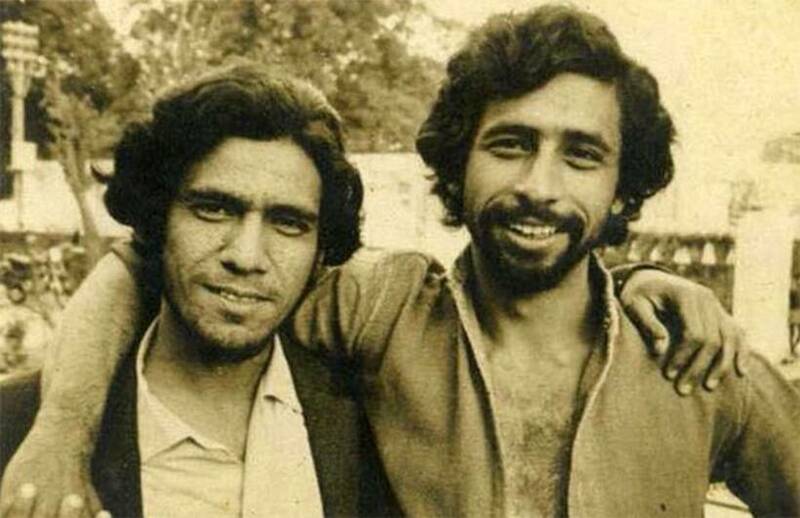 Naseeruddin Shah will be next seen in The Hungry along with Tisca Chopra. The film, written and directed by Bornila Chatterjee, also stars Neeraj Kabi, Arjun Gupta, Sayani, Antonio Aakeel and Suraj Sharma. 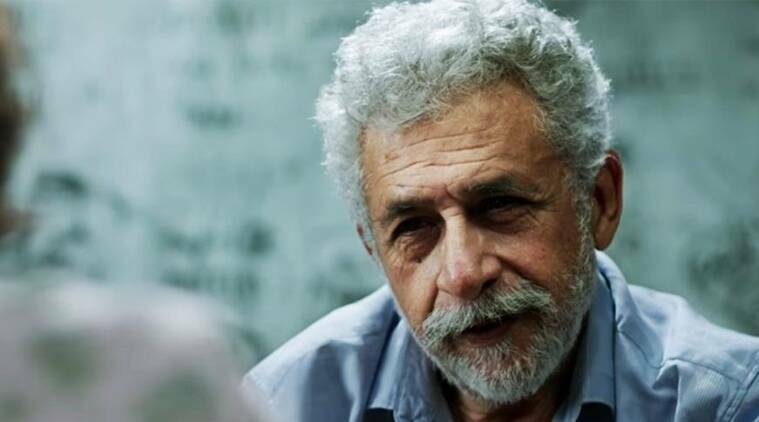 In a candid chat with indianexpress.com, versatile actor Naseeruddin Shah spoke about his long-standing acting career, the difference between a star and an actor, the evolution of filmmaking and the changing female narrative in Hindi cinema. Q. You have been an actor for almost fifty years, but you have also lost three of your associates – Om Puri, Tom Alter and Kundan Shah. What can one say on this? I kept getting calls when these three (actor Om Puri, actor Tom Alter and director Kundan Shah) died by people from the press, and they asked me what I am I feeling on their death. I lost a friend. What can I say? All you can do is console their family. What else can one do? Of course, I could say ‘yes, I miss him a lot and we have had so many memories together, and that his death is a big loss.’ Everybody expects these cliched answers, but I don’t feel like saying any of those things and that’s why I didn’t give out any statement when they died. I have written a bit about Tom, a candid note for Kundan, and also for Om. But what else can one say, really? “Bichhade sabhi baari baari” (Everyone disperses, one by one they all leave). Q. The industry paid a tribute to Om Puri. Do you think only that much was enough? These tributes and lectures are just for show. I truly believe that. What work Om has done will be remembered. An actor is remembered by the films he does. You might be the world’s best actor, but if you haven’t done any good films then you will not be remembered. Hence, actors shouldn’t be very happy with their work. They have to realise that they will be remembered only and only by their work, and Om has done that work. He did great films like Tamas, Ardh Satya and Aakrosh. He has worked with Satyajit Ray also. These works will never be forgotten. So, who gave him a tribute or not doesn’t make any difference. What he did in his life, that is what is important. Q. While you say that actors are remembered through their films, Om Puri’s last film was Mr Kabaadi, and it didn’t do well at all. What does that feel like? Some six films released as Om’s last films. Every film since he has died advertises itself as On Puri’s last film. What would he do? I supposed he had some restraints. He was upset for sure. He was not happy. His personal life was also knotted. He was getting great work internationally, but here he was getting some very weird roles. I think once you pass 60, there is no place for you left. Everyone goes through it and feels that. And for female actors, it is worse. They don’t get work for older characters also once they pass the age of 40 or 45, as if older people don’t have problems, or exciting stories to tell. But they aren’t attractive and can’t be dancing and singing in movies like younger actors. So, Om was doing these roles out of desperation. I regret that a film like Mr Kabaadi was one of his last films. Life is like a gamble after all. Q. Today we are a star-struck audience. We do not have the actors of your stature. I wouldn’t say that. No! I think among the younger generation we have some fantastic actors. Infact, I repeat myself often when I say that we weren’t that good actors when we were Rajkummar Rao, Alia Bhatt, Kalki Koechlin and Nawazuddin Siddiqui’s age, and I am not being modest. I genuinely admire them. Also, I think they are luckier than us because they are getting filmmakers who can make optimal use of their talent. We also got them, so we shouldn’t be complaining. I am very very grateful for those opportunities. If our films were not made, then these films wouldn’t be made today. Filmmakers like Mrinal Sen, Satyajit Ray, Khwaja Ahmad Abbas also used to make great films. So, I suppose every generation takes steps ahead for sure. Friends like Farooq Sheikh was another great actor. Om (Puri) has gone, but there is no lack of talent in the young actors of today. Q. There is always a disparity between art films and commercial film. What is your take on that? It’s always been that way, what’s new in that? Every kind of film, whether artistic or commercial, money is involved in making both. The cheapest films today are made in five crores, and that’s not a small amount. So, in that sense, every film is a commercial film. And while making a film, it is the filmmakers responsibility to cover the money because it is someone else’s money that has gone into making a film. Films are not made to be watched alone at home, then go paint, why make a film? Films are made to show it to the audience. You can write a poem for yourself, or compose a piece of music for yourself. Thankfully the distinction between art and commercial films is slow disappearing. I am ecstatic about it because otherwise it was an intimidating separation, and the audience would think ‘oh is it an art film, then it must be boring, and if it a commercial film then it must be good!’ and hence thousands of rotten commercial films were made with huge starcast, but still these films didn’t work. It is a paradox that you have to do good work also and bring the money also. Q. Do you think the female narrative is changing in our film industry? Very slowly. I know none of the four girls (Ratna Pathak, Konkonasen Sharma, Aahana Kumra, Plabita Borthakur) from Lipstick Under My Burkha have got any work yet, even when the film did so well. Even our film industry very resentfully admits that this film was a success. The female narrative is not changing. It is just that there are couple of daring people, like the girl who made Lipstick (Alankrita Shrivastava directed Lipstick Under My Burkha) will continue making such films. But the number is too small and it is not necessary that such films will always work. But to continue making films like these is our responsibility. Q. In the times when big budgeted films are not doing well, a film like Newton has gone to Oscars. Do you feel proud? Why do we give so much importance to the Oscars, that I haven’t understood ever. What do we have to do with the Oscars at all? We keep on running behind the Oscars every year, there is a competition here to decide which film we will send for the Oscars from here. An Indian film will never win an Oscar in the next hundred years, you can mark my words. I can write it and give you. For no reason at all, we wag our tails behind the Oscars, and make a fool of ourselves. Oscars are as bogus as our Manikchand/Panparag awards (laughs)! Q. Who lives longer, the actor or the star? (Laughs) That’s a good question! I think the actor because the actor will do films which he thinks will be remembered, and the star will do films in which he thinks he will be remembered, but he is mistaken. He is obviously mistaken. The audience will remember him for a while. In the long run, they will forget it, if it is not a worthwhile film. A film like Mughal-E-Azam is remembered even today. There were such big stars in that film – Madhubala, Dilip Kumar and Prithviraj Kapoort, but if you think about it, the actors are not the ones who are remembered, it is the film. That how it is, and it is through the films that the actors are remembered. But that’s what I feel. Stars live a short life. It is an ancient saying, and it holds true too. You can’t see stars in the day (laughs). Actors are like trees. You will find them in the day and at night. There will be many shooting stars. Stars will come and go. Thankfully, I am not one of them. I am here to go on. Q. Songs in your films like Masoom and Bazaar were poems. They were loved. Today, we don’t have that. Do you miss the music of the time? There are no writers and songwriters who can write great songs like before. Ask today’s songwriters the meaning of ‘zulf’ or ‘ghata’, they won’t know it. All they can write is ‘tu hi Meri Coca-Cola, tu him Meri Pepsi-Cola’. That’s the kind of shayari they will write. What are they going to do? These are the days of Facebook and SMS vocabulary. I won’t be surprised if even films are made with SMS vocabulary, some day! It is this generation’s misfortune. Maybe they won’t even like the songs that were made before, but it is true that “Lakdi ki kathi” from Masoom is still sung by today’s kids. They know the song, even forty years after the film released. So, isn’t that a proof to how good content will survive anything? And I make peace with that. 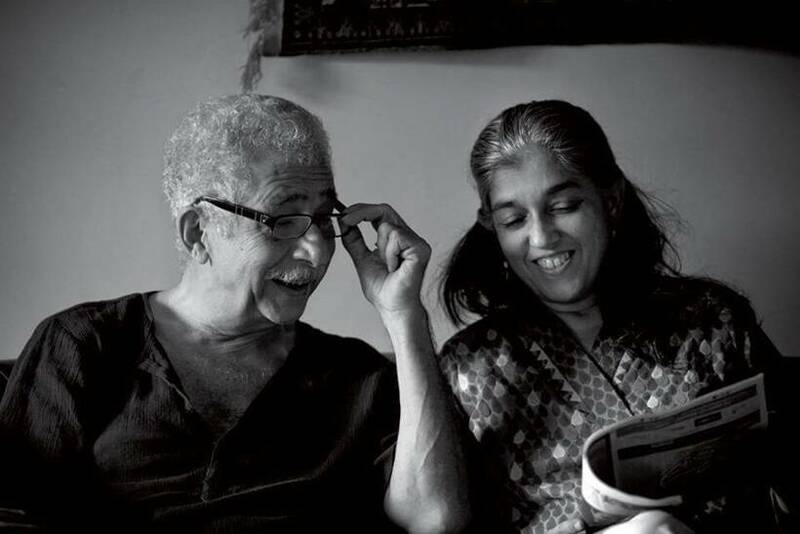 Naseeruddin Shah will be next seen in The Hungry along with Tisca Chopra. The film, written and directed by Bornila Chatterjee, also stars Neeraj Kabi, Arjun Gupta, Sayani, Antonio Aakeel and Suraj Sharma. This film is an adaptation of William Shakespeare’s Titus Andronicus set in contemporary New Delhi. It is set in the extravagant surroundings of an Indian wedding whilst exploring the role of the patriarch and corruption in Indian politics and big businesses. Produced by Cinestaan Film Company & Microwave International Ltd., The Hungry premiered at the Jio MAMI 19th Mumbai Film Festival on October 14, 2017.